Happy Friday! Are you still smiling! Most of us are glad the holidays are over. We are getting past the stress of all the chaos. But, it’s still nice to reflect on the good stuff like the all the cute holiday photos. 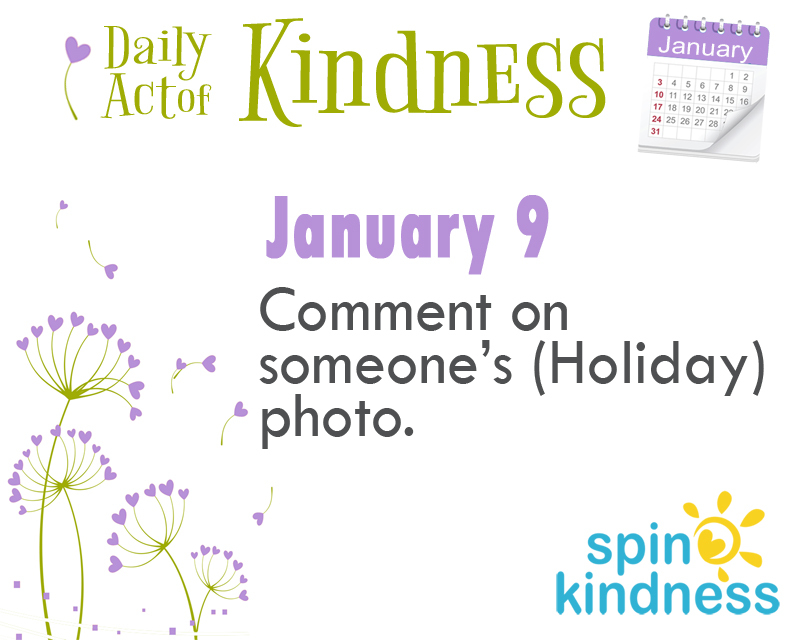 Seek out a holiday photo on a friend’s social media page — maybe look up someone you didn’t have time to connect with the past month. Write a comment about their picture and be sure to tag them. It’s a simple way to keep positive thoughts and holiday cheer flowing! Share your experience with us in the comments or on Facebook or Twitter!